Sure the Super Bowl ended on Sunday, but football is still in the air at Pebble Beach. 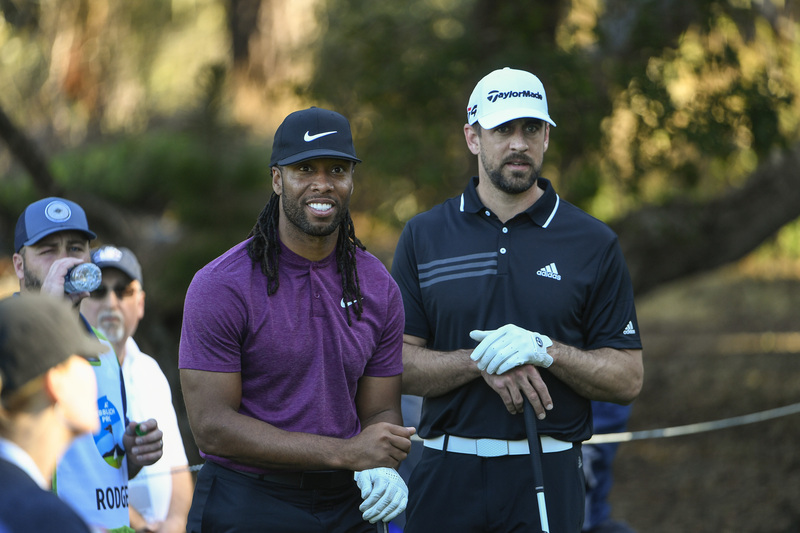 As we gear up for the 2019 AT&T Pebble Beach Pro-Am, you can catch plenty of football stars in this year’s field. 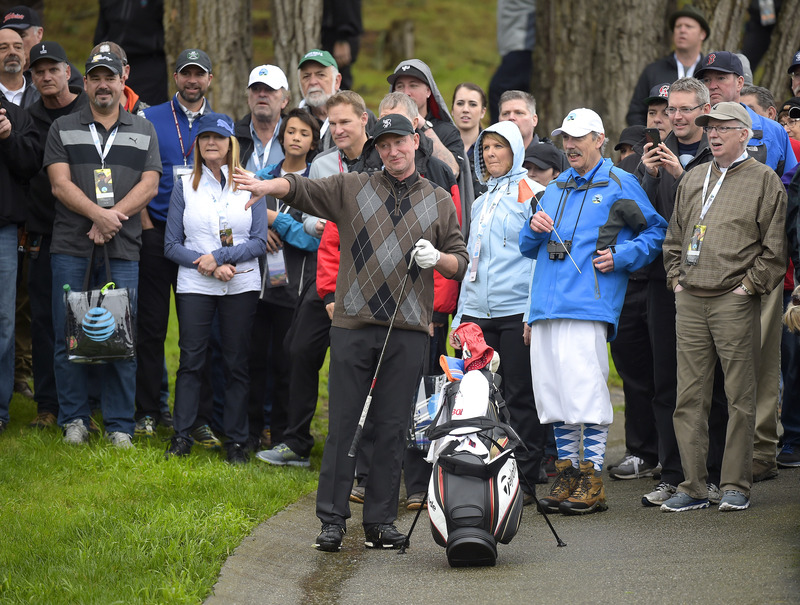 Here are the celebrities we are excited to see — along with some golfers they are excited to see, too! The champ is back to defend his crown. Playing to a 13 handicap in 2018, golfing-obsessed Arizona Cardinals wide receiver Larry Fitzgerald helped his pro and fellow Whisper Rock member Kevin Streelman a whopping 28 shots en route to a runaway seven-stroke victory. Fitzgerald, who travels to road games during the NFL season with a cut-off shaft so that he can practice his swing, added to his career golf highlights last month by picking up an ace during a round with former President Barack Obama at Seminole Golf Club. You have to admit you’re curious, right? AT&T regulars Bill Belichick and Tom Brady are understandably parading through the streets of Boston after the Patriots won their sixth Super Bowl, but a familiar face from Sunday will be back at Pebble Beach this week: Tony Romostradamus. CBS football analyst Tony Romo might be heading into his favorite time of the year — golf season. The aspiring professional golfer has played on the Web.com Tour and entered Q-School. Says former world No. 1 Justin Thomas: “You have to remember that he’s an elite, trained athlete, and if he puts in the work and competition, there is no reason that he can’t do it.” Romo has even recorded an ace in colleague Jim Nantz’s Pebble Beach backyard. An 11-time World Surf League champion, Slater picked up golf at the age of 23 but quickly became hooked, telling the PGA TOUR that he plays 150 rounds a year. Did you know there is a 32-year-old golfer on the Web.com Tour also named Matt Ryan? The MVP quarterback for the Atlanta Falcons is a pretty good golfer as well, carrying a plus-1.2 index. He’ll be making his Pebble Beach debut this year, although he is tournament-tested at the annual American Century Celebrity Golf Classic in Lake Tahoe. Ryan is also the Matt-sters champion, beating fellow quarterback Matt Stafford. Michael Peña, whose acting credits include Oscar winners Crash and Million Dollar Baby, actually caught the golf bug from two Crosby Clambake legends: Jack Lemmon and James Garner. When I was 19, I was filming my first movie ever, “My Fellow Americans,” with James Garner and Jack Lemmon, in Asheville, N.C. I swear, I couldn’t get a word in edgewise, because they were talking about golf constantly. Jack Lemmon would always be, like, “No, no, no, what you want to do is to swing like this.” There is always a debate in golf — stance structure, pivot or not to pivot, the whole thing. They talked about it all, constantly, on the set. I thought, “well, maybe I want to try this golf thing.” They seemed to be so enthused, so wrapped up in it. Peña has since one-upped them both. He can claim a hole-in-one during a PGA TOUR event. It was No. 7 — at the Bob Hope Classic. Bill Murray’s outfits aren’t always described as fashionable, but we sure are thrilled to hear that Bing Crosby’s spirit animal is showing up fashionably late to this year’s party. The AT&T is always a party with Murray around. It’s a sight to behold, really — 5 hours of stand-up and slapstick comedy performed every day between and during golf shots. But the Caddyshack star also had his own Cinderella moment when he teamed up with D.A. Points to win the 2011 AT&T Pebble Beach Pro-Am. The celebrity field won’t be short-handed this year. It’s back to full strength with The Great One returning. Gretzky has played in family games with Dustin Johnson for years, but the NHL’s greatest goal scorer admits that he’ll never be a scratch golfer.